Medical Office Managers and Administrative Medical Assistants are versatile and valuable members of the healthcare team who can handle a broad range of duties, including patient registration, telephone, scheduling, medical records, accounts receivable, data entry, compliance regulations, human resources, and health information. This in-depth program combines several programs, Microsoft Word 2016, Microsoft Excel 2016, Medical Terminology, Certified Medical Administrative Assistant (CMAA), Certified Electronic Health Records Specialist (CEHRS), and Certified Physician Practice Manager (CPPM), to give you the foundation and training needed to be a Medical Office Manager. Upon completion of this program, you will be ready to take the Certified Physician Practice Manager (CPPM) exam, offered by the American Academy of Professional Coders (AAPC), the Certified Medical Administrative Assistant (CMAA) and the Certified Electronic Health Records Specialist (CEHRS) national certification exams offered by National Healthcareer Association (NHA). 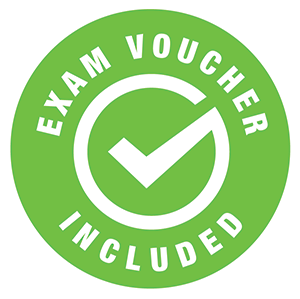 You will receive the study guide materials, access to practice exams, AAPC membership and a voucher for each exam. Managing a physician’s office requires a wide range of skills. This program covers the competencies required including, effective patient flow, revenue cycle management, compliance regulations, human resources, health information, and general business processes. Microsoft Office skills are important skills to have in any profession or workplace. Being able to work with Office programs is a must in today's workplace, you will learn essential introductory and advanced Office skills in Microsoft Word and Excel 2016 programs. You will be prepared for the Microsoft Office Specialist Certification exams 77-727 and 77-728 (Excel) and 77-725 and 77-726 (Word), the fees for these exams are not included in this program. Medical Terminology will give you a full understanding of word origins to their application. You’ll learn the correct terms and spelling for all of the body systems, major pathological conditions, disorders, treatments, medications, and more. In Certified Medical Administrative Assist (CMAA) you will learn how to handle the increasing complexities of healthcare management and patient care in offices of physicians, offices of other providers, clinics, urgent care centers, ambulatory surgery centers, hospital departments and emergency rooms, home health agencies, assisted living facilities, educational institutions and group homes. You will get hands-on practice using real EHR software and learn the benefits these systems provide compared to traditional paper records and understand not only medical terms themselves, but also their application. Certified Physicians Practice Manager (CPPM) will cover the requirements of managing the revenue cycle, compliance regulations, human resources, health information, and general business processes that make practice management a challenging yet rewarding profession. Upon completion of this program, you will be ready to take the Certified Physician Practice Manager (CPPM) exam, offered by the American Academy of Professional Coders (AAPC), the Certified Medical Administrative Assistant (CMAA) and the Certified Electronic Health Records Specialist (CEHRS) national certification exams offered by National Healthcareer Association (NHA). You will receive study guide materials, practice exams, AAPC membership, access to the Practicecode tool, and a voucher for each exam. This program is entirely online and is completed at your own pace. When you register, you receive eighteen (18) months to complete this program. This course must be taken on a PC. A Mac is not compatible. Browser: The latest version of Google Chrome or Mozilla Firefox are preferred to access the classroom. Microsoft Edge is also compatible. The electronic health record (EHR) software within the course is only accessible through Internet Explorer. Microsoft Office 2016 Suite (not included in enrollment). Note: Access to the electronic health record (EHR) software within the course is only available using Internet Explorer. In order to sit for national certification exams, candidates must have a high school diploma or equivalent; therefore, it is recommended you have this before enrolling for this program. A minimum of two years’ health care experience is strongly recommended. She currently does coding for ambulatory surgery center and resides in Pittsburgh, Pennsylvania. Shonda Miles has over 6 years in the healthcare industry. Shonda has expertise in coding and chart auditing Inpatient, Outpatient, and ER medical records. She is a member of AAPC, NAMAS and ACHE. She is currently employed with a university hospital as a Compliance Auditor. She resides in Shreveport, LA. Sharon L. Blackford, MA, BA, RMA has over 30 years’ experience in the medical field. She has a Master’s Degree in Organizational Management, a Bachelor’s Degree in Business Management, and has served as a Registered Medical Assistant since 1994.She is originally from Chicago, Illinois and has worked in the United States Army. Sharon joined the US Army when she was 20 years old and was an active duty Clinical Specialist for 10 years. She was trained at Walter Reed Army Hospital in Washington, D.C., and her first duty station was Ft. Carson, Colorado Springs, Colorado, as a Labor and Delivery nurse. She also worked in Ft. Devens, Massachusetts in a Combat Support Hospital and Schofield Barracks, Hawaii in both the Troop Medical Clinics and Family Practice on the Island of Oahu. After 10 years’ active duty she worked as a Hemodialysis Technician at Parkland Hospital in the Outpatient Dialysis Unit. She has worked in Rheumatology, Surgical Oncology, and Family Practice, and has been the Practice Administrator of Neurology, Cardiovascular, and Urology Practices. She was a Medical Assisting Instructor for various Allied Health Schools in the Metroplex in the Dallas-Ft. Worth area. She has been the Director of Education of two proprietary schools Remington College in Shreveport, LA and Ultrasound Diagnostic School in Irving, Texas. She moved to the Gulf Coast to accept a position as the Director of Education of Blue Cliff College was promoted to Campus Director. Jennifer has worked in the allied health care industry for more than 20 years in every capacity from receptionist to practice manager. Currently, she writes and edits courses and study guides about medical coding, transcription, electronic health records, and the use of technology in health care. She also regularly contributes online and print articles about these topics and has actively helped prepare industry professionals for the conversion to the ICD-10 coding system. Rachael has been in the health care field for over ten years. She has worked mostly on the insurance side of things, as a customer service manager for dental insurance, a claims and customer service coach, and a workers’ compensation case management biller and auditor. She works daily with medical records and healthcare software. Leanne Walls, CPC, CHC, has over twenty years of experience in coding, compliance and practice management. She currently manages a large multi-specialty group practice with over 100 physicians. She has contributed education support in reviewing curriculum, writing practice management related articles and presenting on coding and practice management topics. All of our programs are self-paced and open enrollment, so you can start them when you want and finish them at your own pace. When you register, you’ll receive eighteen(18) months to complete the program. Upon successful completion of the program, you will be awarded a certificate of completion. In addition, you will receive exam vouchers for the Certified Physician Practice Manager (CPPM), offered by the American Academy of Professional Coders (AAPC), the Certified Medical Administrative Assistant (CMAA) and Electronic Health Record Specialist Certification (CEHRS) national certification exams offered by National Healthcareer Association (NHA) after successful completion of the program and financial obligation. Yes, you will be prepared for the Certified Physician Practice Manager (CPPM) exam, offered by the American Academy of Professional Coders (AAPC), the Certified Medical Administrative Assistant (CMAA) and Electronic Health Record Specialist (CEHRS) national certification exams offered by National Healthcareer Association (NHA) and receive exam vouchers after successful completion of the program and financial obligation. You will also be prepared for the Microsoft exams 77-727 and 77-728 (Excel) and 77-725 and 77-726 (Word), the fees for the Microsoft exams are not include with this program.